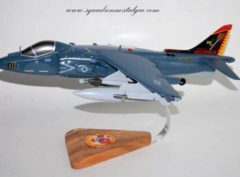 The McDonnell Douglas (now Boeing) AV-8B Harrier II is a single-engine ground-attack aircraft that constitutes the second generation of the Harrier Jump Jet family. 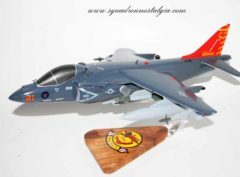 Capable of vertical or short takeoff and landing (V/STOL), the aircraft was designed in the late 1970s as an Anglo-American development of the British Hawker Siddeley Harrier, the first operational V/STOL aircraft. 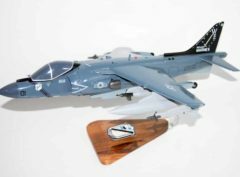 Named after a bird of prey, it is primarily employed on light attack or multi-role missions, ranging from close air support of ground troops to armed reconnaissance. 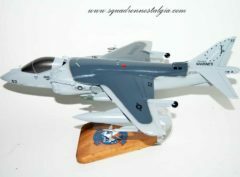 The AV-8B is used by the United States Marine Corps (USMC), the Spanish Navy, and the Italian Navy. 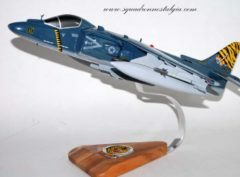 A variant of the AV-8B, the British Aerospace Harrier II, was developed for the British military, while another, the TAV-8B, is a dedicated two-seat trainer. 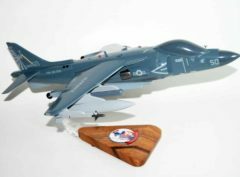 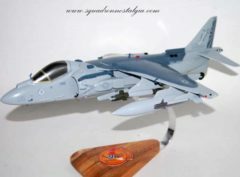 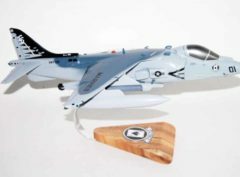 The project that eventually led to the AV-8B’s creation started in the early 1970s as a cooperative effort between the United States and United Kingdom (UK), aimed at addressing the operational inadequacies of the first-generation Harrier. 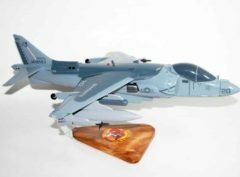 Early efforts centered on a larger, more powerful Pegasus engine to dramatically improve the capabilities of the Harrier. 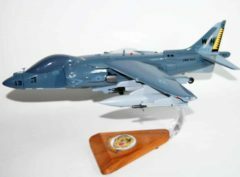 Due to budgetary constraints, the UK abandoned the project in 1975.